Flanged lid allows for easy mounting to walls or shelves & provides high security (as lid screws are hidden against wall or shelf). 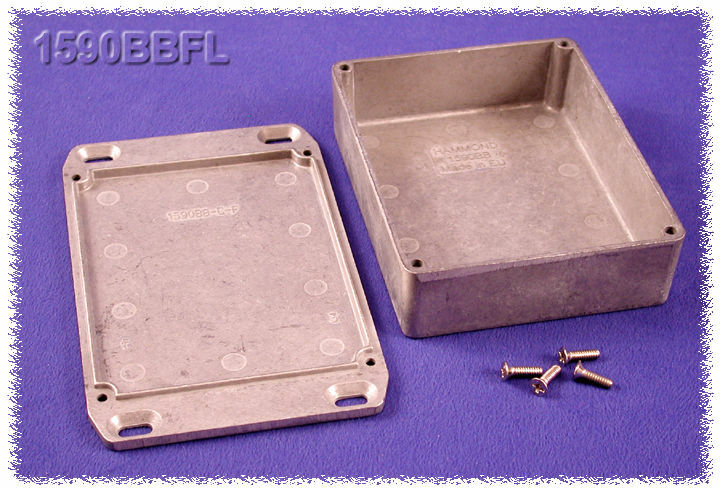 These enclosures share the same body and features as our regular type 1590 enclosure except the lid is extended and four countersunk holes are cast into the flanges. 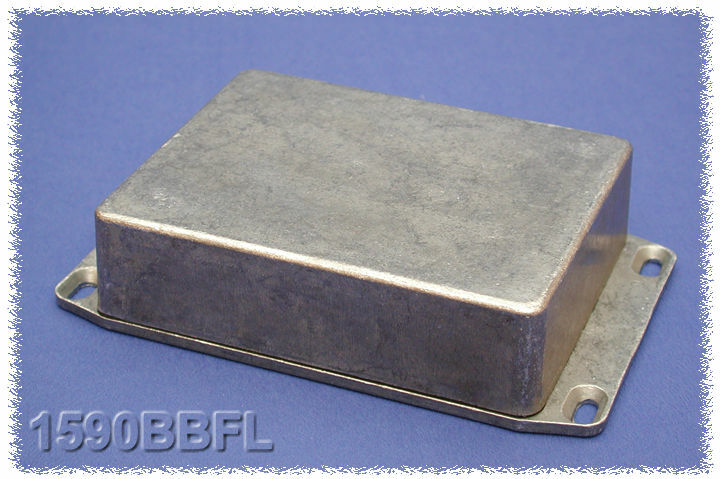 The flanged lid allows for added security as the lid screws are hidden against the wall or shelf. Painted version is painted with tough polyester powder paint for a lasting finish, even after machining. 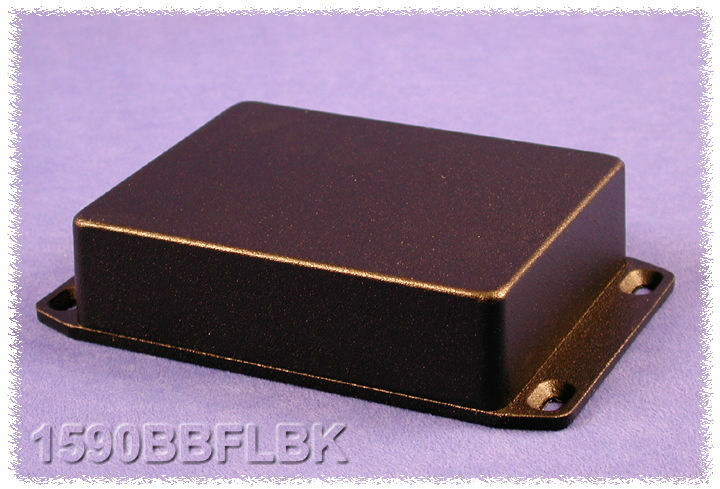 Paint is only applied to the exterior surface to maintain RFI/EMI integrity (see photos below). Black screws are included to enhance appearance.